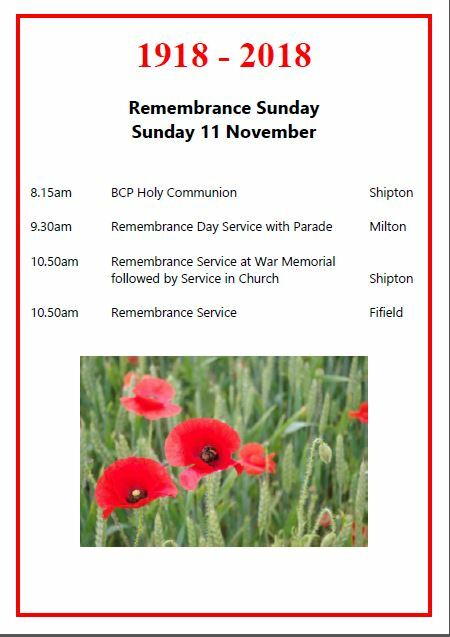 The 11am service will begin at 10.50 on the Village Green next to the War Memorial and will move into the church following the reading of names. There will be an exhibition of Photographs of Fifield in former times continuing into the afternoon. Royal British Legion Poppy Collection organised by Rosie White for Fifield from 28th October.